Welcome to the Contact-Numbers.org.uk directory, featuring tons of hard-to-find customer service contact numbers and many more UK companies and departments. It can be a minefield trying to find the right contact number for the right department. So we have done the hard work for you and researched the best contact information for the largest businesses in the United Kingdom. Our objective is to put you in contact with the right department straight away, so you spend less time on the phone. To make calling from our website easier, we have made the telephone numbers on our pages into links. When you click these on a smartphone, the number will be automatically added to your phone’s dialler. Finding a company’s contact number is harder than ever. Official websites are making it hard or sometimes impossible to find the right phone number. If you’re ever in doubt where to turn to find a phone number to contact a particular company, rest assured we’ve done all the hard work and research to bring those numbers to light for you. We clearly list each supplier’s phone numbers and any published email addresses for customer service. Also where possible, all social profiles which you can use to contact each respective company via social media. This website in no way associated with, or claim to be associated with, any company, government agency, or individual listed. Contacting holiday and travel companies can be some of the most important phone calls that you can make. Whether you are looking to complain about your holiday, or if you are looking for more information about booking, then there is nothing more important than speaking to a representative at the right company. Here at Contact Numbers, we help our visitors find the right contact details, in the right departments quickly and easily. We have also put together a handy guide on how to complain to your holiday provider. You can use this and then get in touch with your appropriate holiday company and get the answers you want. Visit this page to contact your appropriate holiday and travel company. This ought to be your first stop to locate the correct contact points of interest for any UK broadband and internet providers. The contact numbers on this website can be used to talk with the right department straight away. We don’t want you to call the main customer service contact number and have to wait on hold for 10 minutes until you reach the right department. Which is why we have complied all of these numbers for you, and their appropriate departments. In the event you are having issues with your broadband suppliers, for example when they throttle your internet speed you need to contact them and complain. Sometimes all it takes is a call from one of our Broadband and Internet contact numbers, and they will help resolve your issues. If you are ordering a product online, or want to talk with somebody before making that all important purchase, we have put together a handy list of the key Retail Contact Numbers for some of the largest UK companies. You will also find plenty of information on how to complain about your purchase, so make sure you give it a read. In the event that you’ve had an issue with a delivery from a courier, you should raise a complaint immediately. This is why we have provided the contact numbers for the main couriers in the UK. Take a look below at some of courier contact numbers that we have on our site. Each of these pages details multiple ways to contact your couriers, from phone numbers to email addresses. So make sure you give them a read. It is really important you are able to contact your utilities company when a problem arises. You could be in the middle of gas leak, or a water leak, so need to get in touch with them immediately. Unfortunately some utilities companies are making it harder to find their contact numbers, instead asking you to get in touch using their online portals. So what we have done, is source all of the hard to find contact numbers for these utilities companies so you can quickly and easily get in touch with them straight away. We have also put together phone numbers for other departments, so if you are wanting to pay a water or gas bill, or wanting to start a new order, or just speak with a member of the customer services team, then you can find all of the contact numbers on this website. If you are wanting to get in touch with the most popular utilities companies in the UK then you should visit this page to find all of the appropriate utilities contact numbers. 0843 and 0845 phone numbers cost 7p/min service charge, plus your phone company’s access charge, and are not compatible with free minutes. Calls (in the UK) to 0870 & 0872 prefixed phone numbers cost 13p/minservice charge, plus your phone company’s access charge (set by them), and are not compatible with free inclusive minutes allowances. 0800 & 0808 (freephone) numbers are generally completely free to call – they have no service charge or access charge and don’t eat into your phone plan’s free minutes allowances. In the age of instant messaging, email and social media, we forget the effectiveness of speaking with somebody over the phone. Telephone communication is only around 5% of all business communications, and even less for social interaction. Nonetheless it has real benefits in an increasingly impersonal world. The call continues to be a significant way to improve business and social interactions. Speaking on the phone is a much better way to gain a personal response. Its often hard to gauge peoples true response via email or messaging. Which is why calling somebody is often better as you can understand the person on a much deeper level. Body gestures accounts for 55 percent, voice tone for 38 percent and spoken words for 7 percent. On calling, voice tone give dimension and emotion to words, increasing the potency of the communication. Certain body gestures, such as for example smiling and standing while talking, can come through in the conversation. Something which emails or texts doesn’t get across. In a business environment, it’s simple to log on a conference call with colleges all around the globe. This can help brainstorm ideas, and resolve issues that can be created around emails. 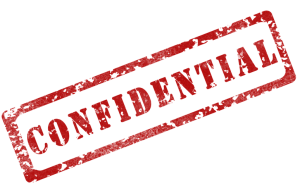 An all important part for both businesses and personal life is keeping things private. In the age of social media and messages being stored on our devices, all text, emails and messages are logged. Texting driving is being clamped down on more and more, and hands-free technology is becoming a lot more accessible. It is clear from a safety point then calling is the way to go. 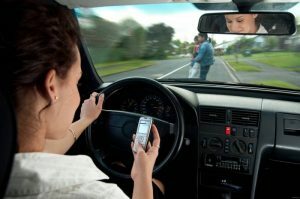 In the UK it is now the law that if you are caught using your phone and driving, then you will be hit with a fine and 6 points on your driving licence. We have ensured that all of our important numbers are clickable. So if you are on a mobile device all you need to do is click on the number. Make the smart choice like thousands already do and bookmark this site for future reference. If you want to keep up to date with all other things to do wth contact numbers, then be sure to check out our Blog.